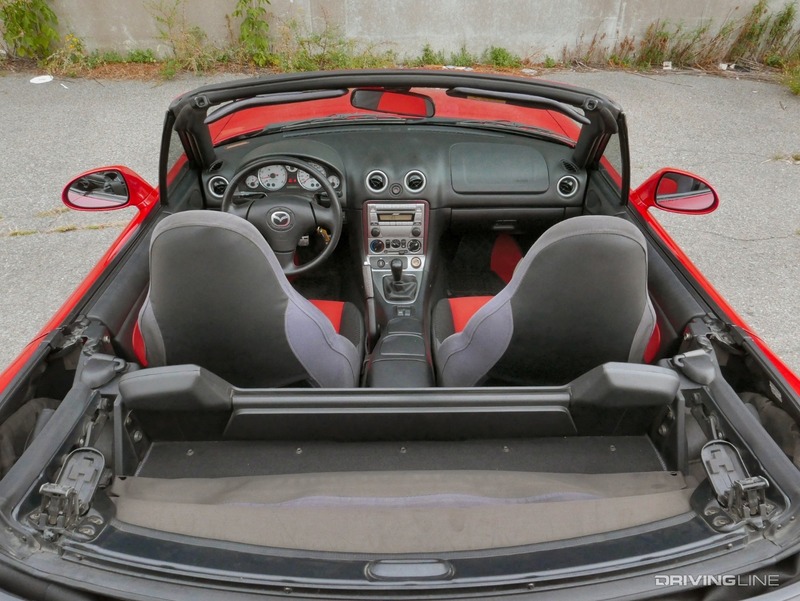 The Mazda MX-5 Miata isn't just the best-selling roadster of all time. It's an icon in the sports car world, a model that took up the mantle of the Little British Cars and added modern engineering and considerably greater reliability to the formula. 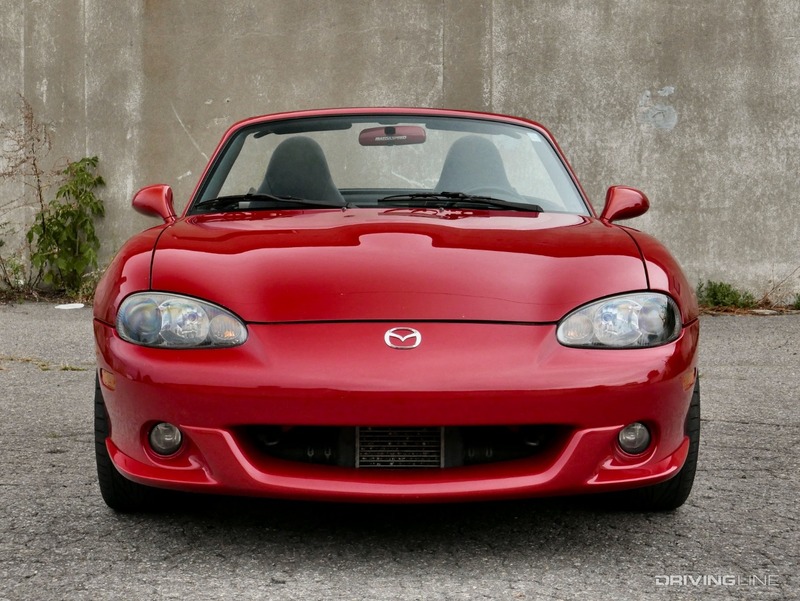 Lightweight, rear-wheel drive and deceptively simple, the Miata found an enormous audience when it hit the market at the beginning of the 1990s. 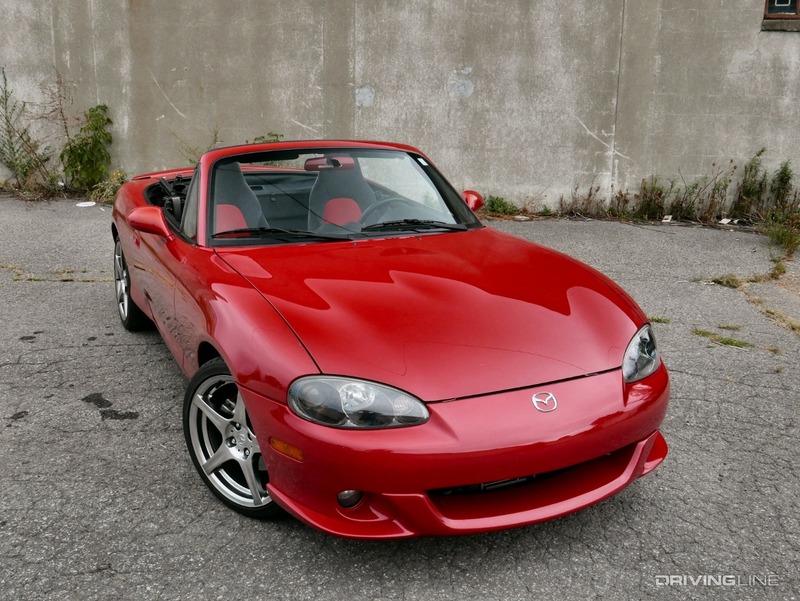 By the early 2000s, however, sales of the MX-5, and sports cars in general, had begun to slow down, prompting Mazda to turn to Mazdaspeed, their in-house performance division, for their take on what could be done with the second-generation Miata platform. 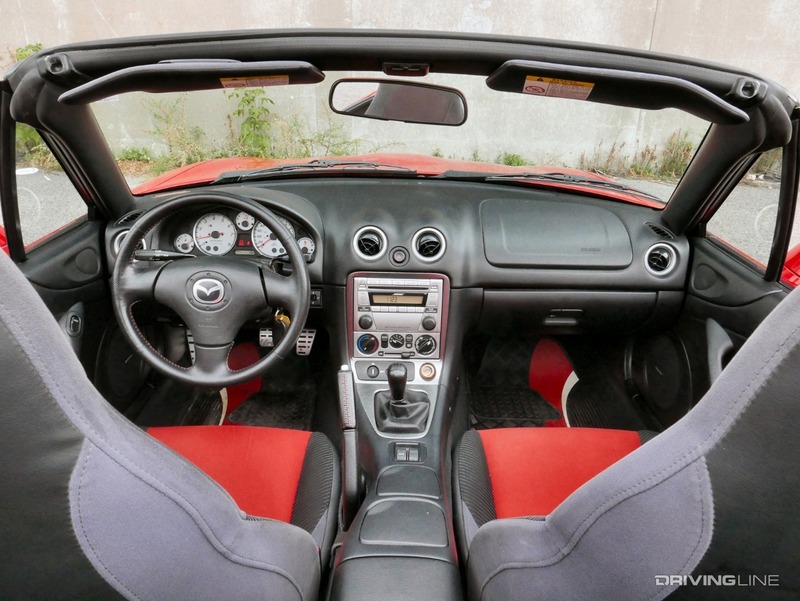 The first and only factory-turbocharged Mazdaspeed Miata hit dealerships for the 2004 model year, and part of 2005, until a fire at the production facility cut things short. 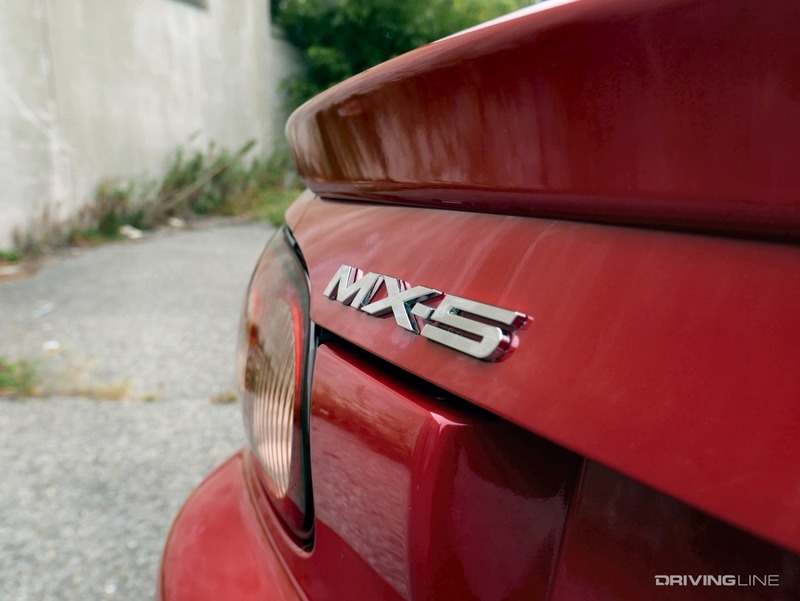 Roughly 5,400 forced-induction MX-5s were built, placing them among the least-common Miatas on the market. Strangely, in the decade or so following its introduction, Mazda never followed-up on the Mazdaspeed, returning to the car's naturally-aspirated roots for the NC and ND generation cars that followed. 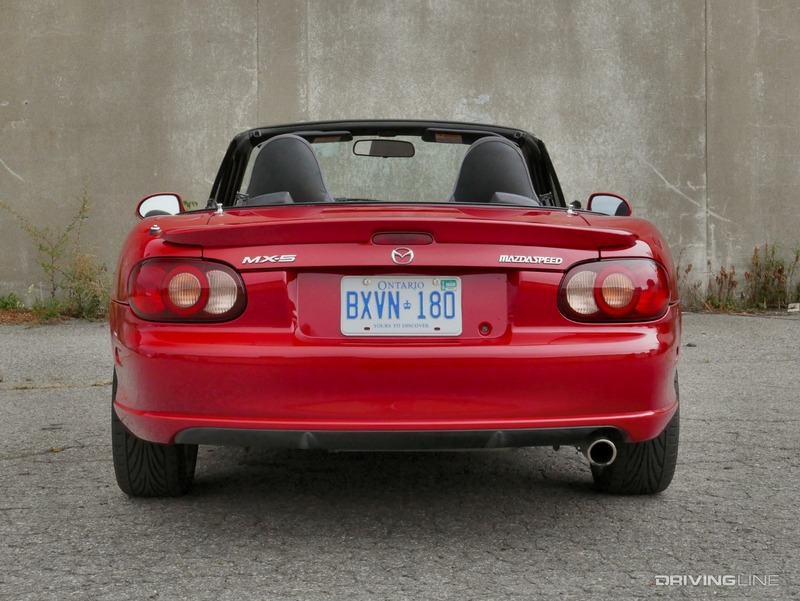 I had the chance to spend a week behind the wheel of one of these unique models on loan from Mazda's classic collection, and I used that time trying to understand why the Mazdaspeed was a solitary effort—and where, exactly, the turbo NB fits into the Miata pantheon. There's one thing in particular about the Mazdaspeed that should have made it a slam-dunk: more power. It's been the common refrain surrounding the Miata ever since it was first introduced with its playful, but admittedly modest, four-cylinder motor. "Imagine how much more fun this would be," detractors would say, "if it had a little bit more grunt under the hood." I've never been in that camp. I've owned a stock first-gen Miata and loved it. I've ridden in a 500whp NA and had a blast. Each are their own kind of fun, and there's enough room in the enthusiast community for both momentum cars and those with enough power to momentarily stutter the rotation of the Earth. 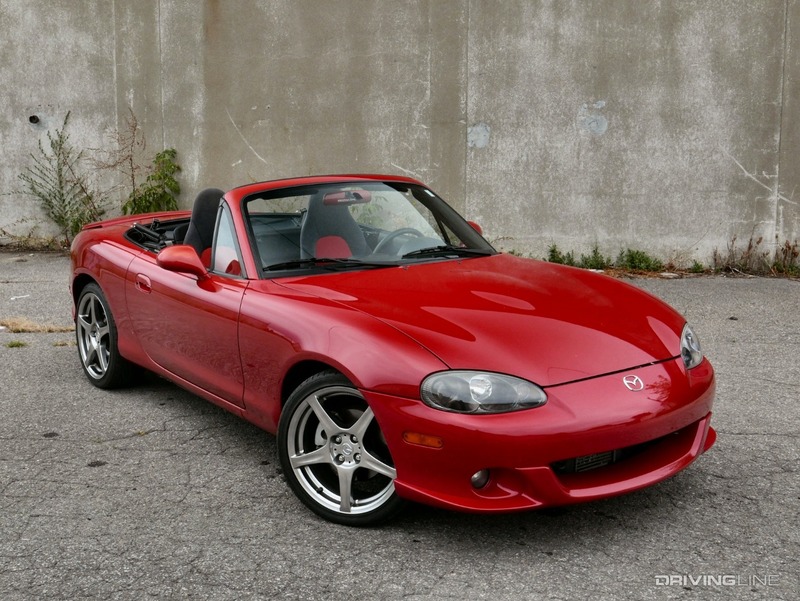 The 2004 Mazdaspeed Miata falls somewhere in between. Rated at 178hp and 166 lb-ft of torque, it offered buyers 36 additional horsepower and 41 extra lb-ft compared to the standard 1.8L four-cylinder engine. More importantly, with its beefier six-speed manual gearbox, and despite a 500 rpm redline drop (6,500 rather than 7,000), it sprints to 60 mph from a standing start one and a half seconds faster than the base model and eclipses the quarter mile in roughly 15 seconds (as opposed to the stock NB's 16 and change). As you can see, the Mazdaspeed is appreciably quicker than any Miata to have preceded it, yet doesn't push too far into muscle machine territory. 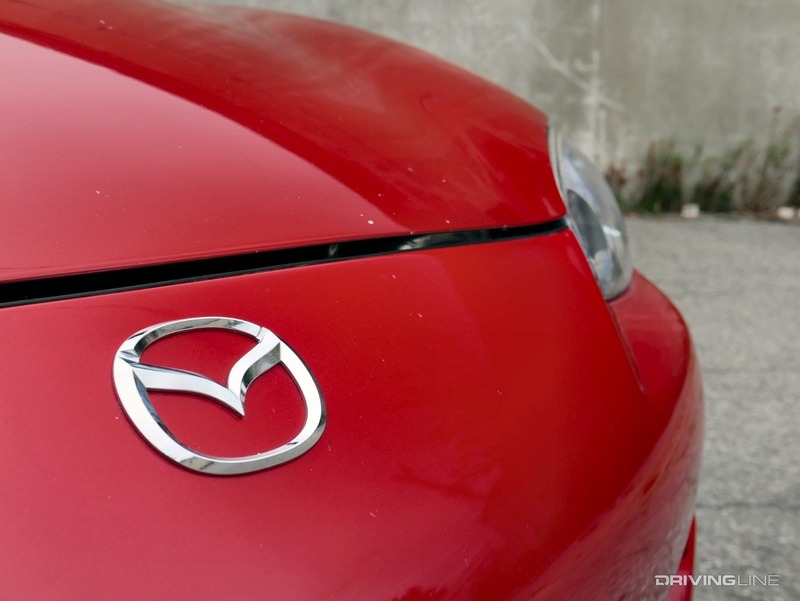 That was a conscious choice on Mazda's part, and certainly not the result of a lack of engineering prowess. 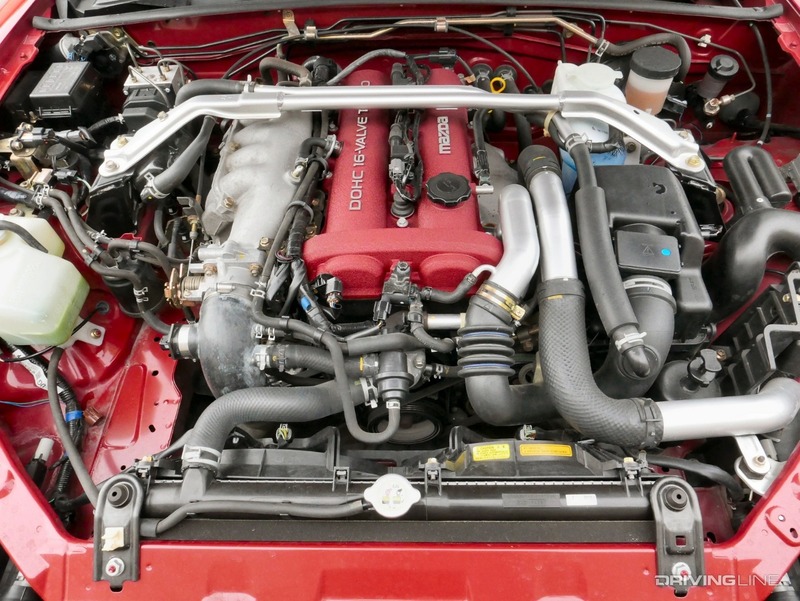 The car's drivetrain has been buttressed to handle 7.25 lbs of boost by the inclusion of an air-to-air intercooler, a bigger radiator, an uprated clutch, a limited-slip differential and the removal of the naturally-aspirated engine's variable-valve timing system. Also joining the party are a set of Bilstein shocks, springs that drop the car by 7 mm over stock, thicker sways front and rear, a strut tower brace over the engine and 17-inch tires that make 0.98 of lateral g possible right out of the box. 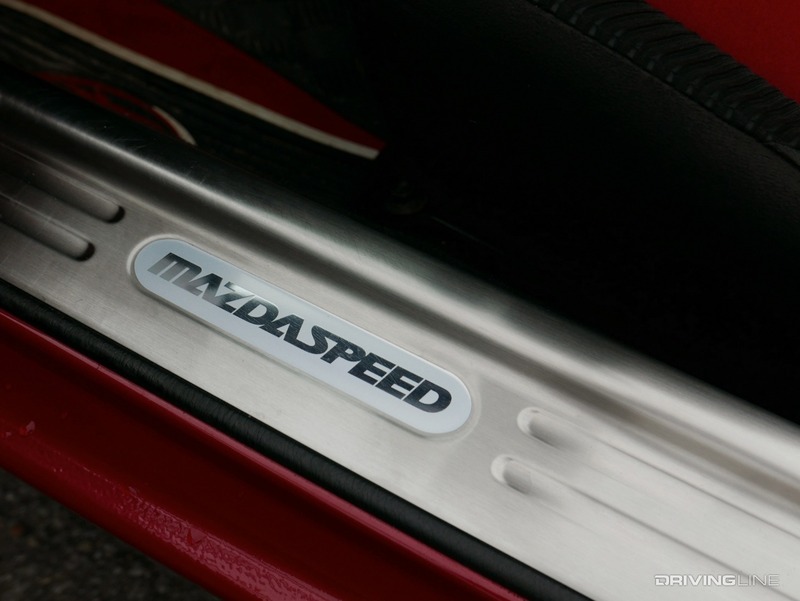 Cosmetically, aside from badging and the world's cutest intercooler peeking out from under the air dam, the Mazdaspeed flies relatively under the radar. 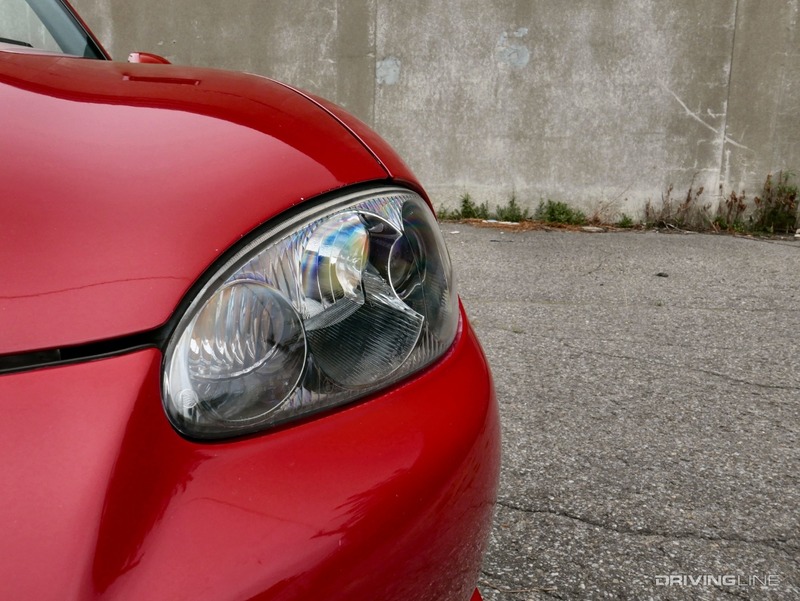 The model I drove came with red seat inserts, a Velocity Red Mica paint job (one of two colors available in 2004), squint-and-you-can-see-it smoked headlights and a unique gauge cluster. There's also a winglet on the trunk and a nifty front spoiler. 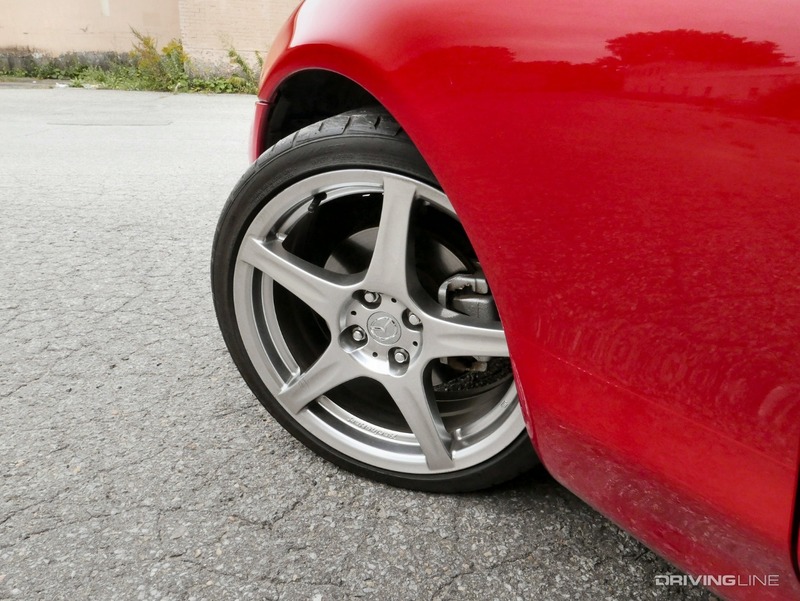 Two things immediately stand out after driving the Mazdaspeed Miata. The first is just how frenetic the drivetrain feels compared to what I'm used to in the NB. 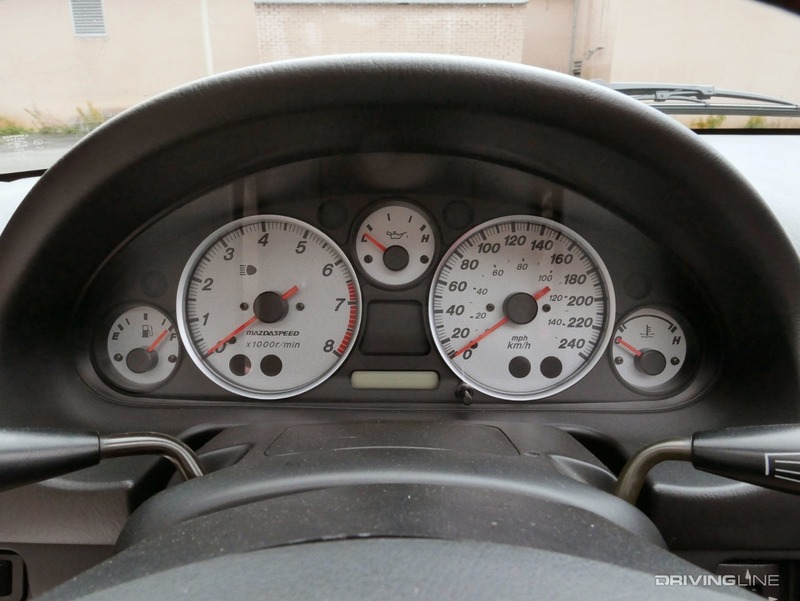 Whereas most Miata driving from this era is replete with gradual climbs to redline before a carefully-metered shift into the next gear, once the turbo takes over at 3,500 rpm, there's not much time to dilly-dally with the right hand before you're required to snag the next cog in sequence. Just to be clear, I'm not complaining about the extra oomph. It's just that the Mazdaspeed is decidedly quicker once boost mode has been engaged, transforming it from go-kart to mini-missile in terms of how quick you have to react to the road ahead, and the feedback from the car itself. 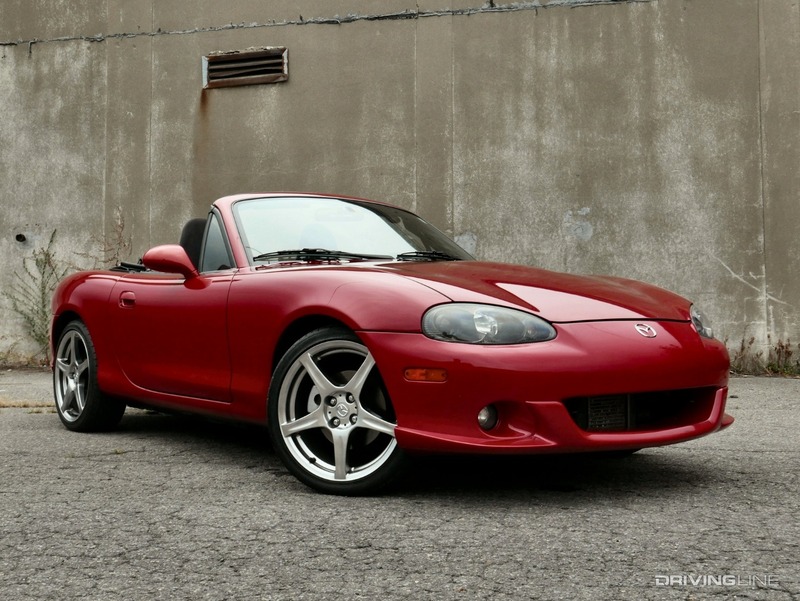 Perhaps even more interesting is the way time has largely caught up with the Mazdaspeed Miata's turbo motor. The 2018 edition of the Miata features a 2.0L four-cylinder mill that produces a mere 155hp, yet manages to be a near match in terms of acceleration (thanks to well-tailored gearing, a very usable powerband and rigorous weight-management). The 2019 edition adds 26hp on top of that, and promises to feel marginally quicker (due in part to its new 7,500 rpm redline, up from 6,800 revs). 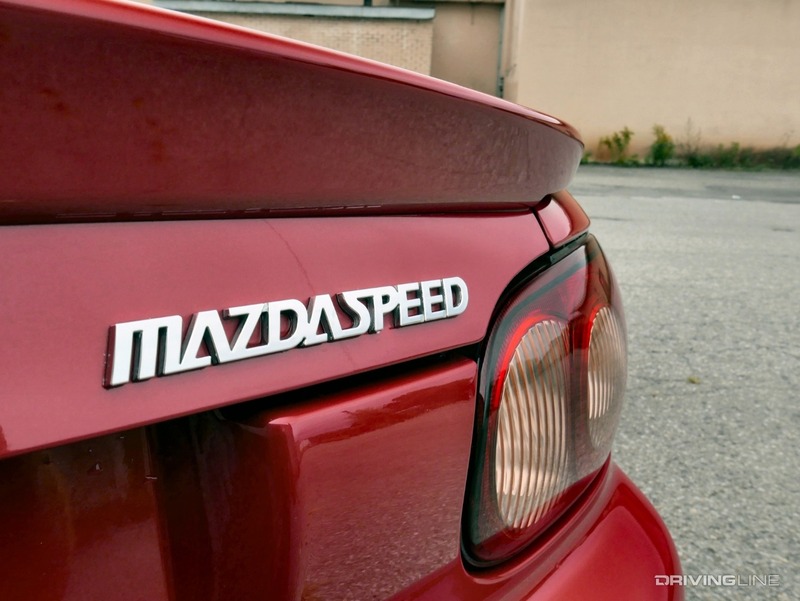 Remember earlier when I said there were two things that stood out to me about the Mazdaspeed? The second is somewhat more subjective, but to my mind, equally important: I'm not sure that the faster car is really all that much more fun than a bone stock NB. 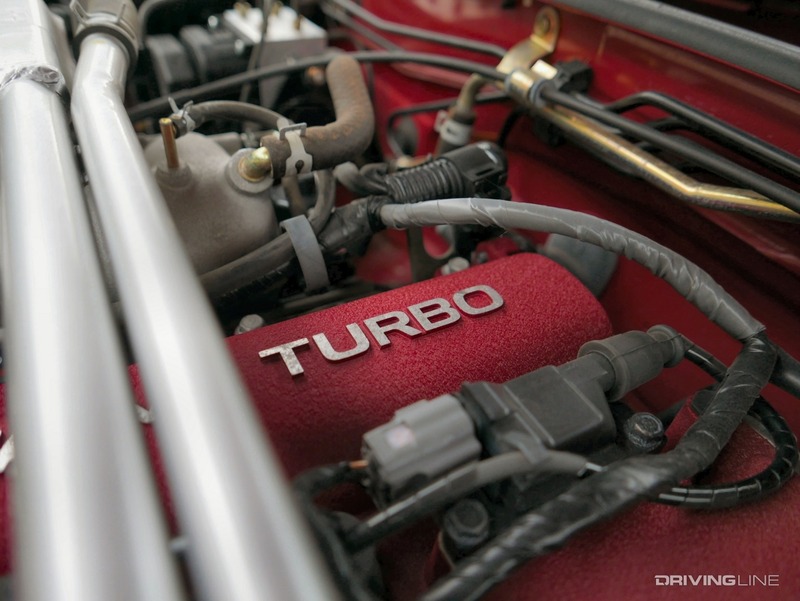 On the street, it's more of an effort to contain the turbo's tiger, as you can't simply wind out each and every gear with abandon, as with most Miatas, without risking your license or forcing yourself to shift every few seconds. I'm simply not as relaxed, or as connected with the car, when experiencing it in this kind of concentrated dose. In fact, the most common complaint about the car from owners, then and now, is the 4.1 rear gear ratio, which thwarts the turbo's chance to truly shine on an autocross course yet keeps the engine spinning high on the freeway. I also couldn't help but feel the Mazdaspeed was stuck somewhere between canyon carver and track rat. 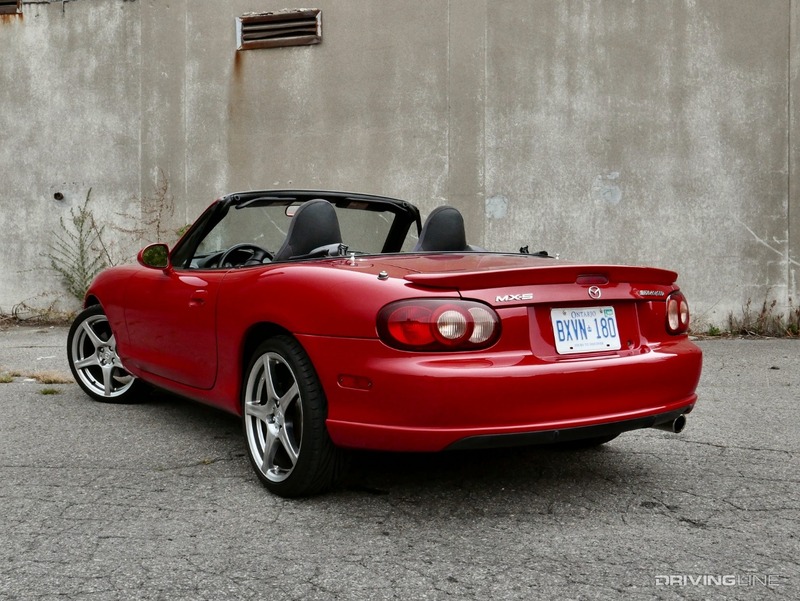 Known for having an ECU that didn't respond well to modifications and a number of expensive reliability issues, this version of the MX-5 simply didn't catch on with the performance crowd. 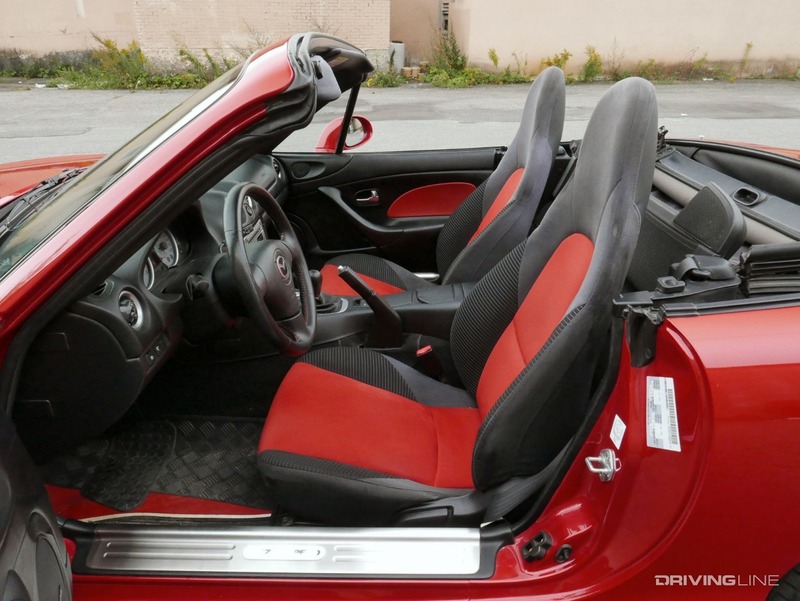 Fast is fun, sure, but if you really want to make a Miata turn in crazy ETs, you can do so for less than the cost of a well-kept Mazdaspeed via the aftermarket, where the folks at Flyin' Miata will happily hook you up—and you'll have fewer problems tuning along the way. That being said, I'm glad that the Mazdaspeed Miata became more than just a special interest project at the company's Mine skunk works. 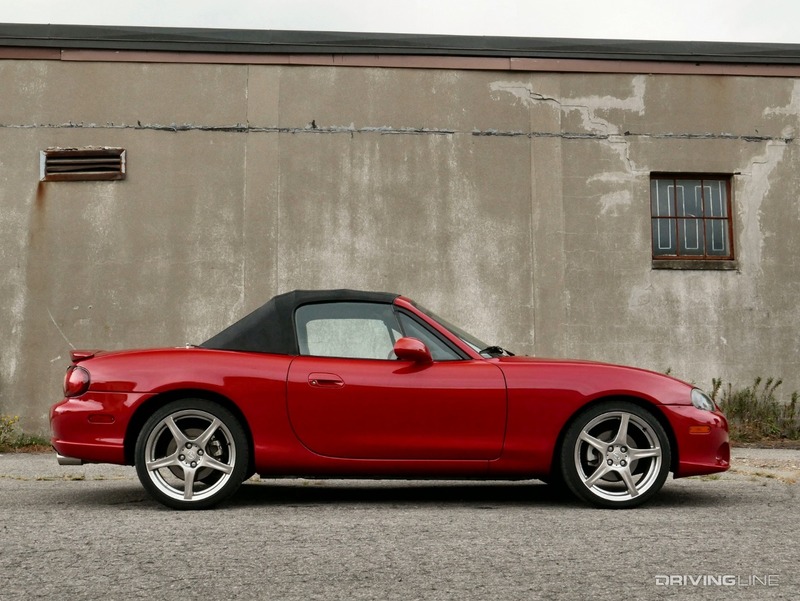 Despite not quite capturing the purity of the original Miata experience, nor edging over completely into track day dominance, this car undoubtedly provided the answer to so many important questions about the MX-5 package that would have repercussions on the next 15 years or so of the vehicle's development. 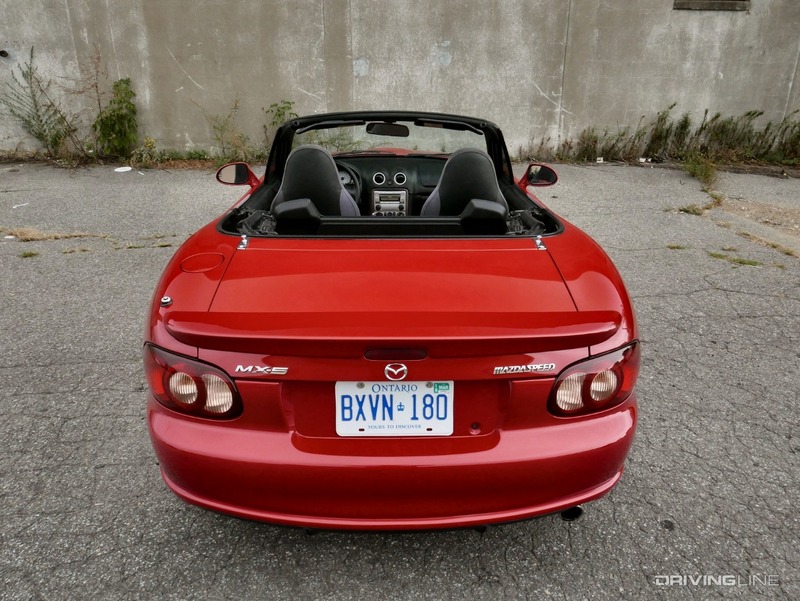 Is it a stretch to make the claim that the Mazdaspeed is the reason why the Miata's four-cylinder has remained happily naturally-aspirated and reasonably rated, while so many other would-be rivals—the Honda S2000 and Pontiac Solstice—failed to stay around for as long despite their gaudier stats? I don’t think so. 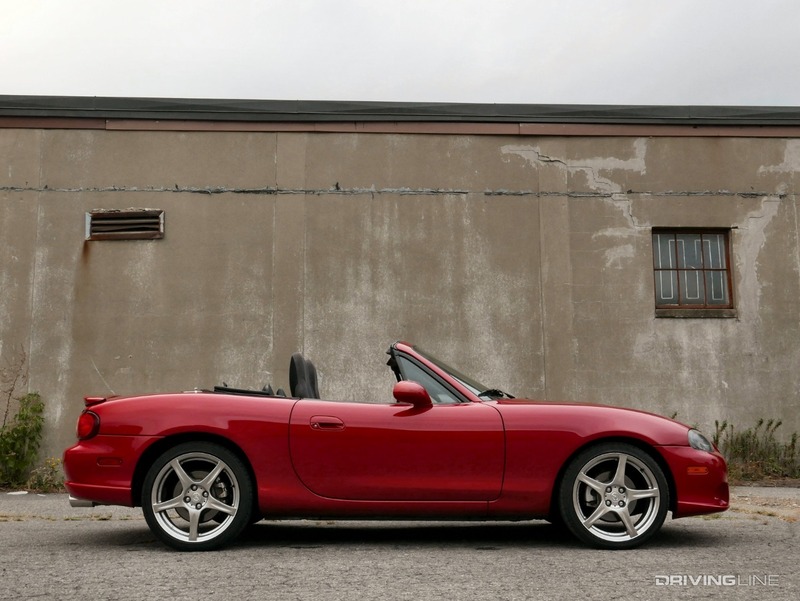 Seen that way, I can certainly respect the Mazdaspeed Miata for its place as an important evolutionary link between the past and the present of this much-lauded roadster, even if it wouldn't be my first choice when parking another classic Miata in my garage. 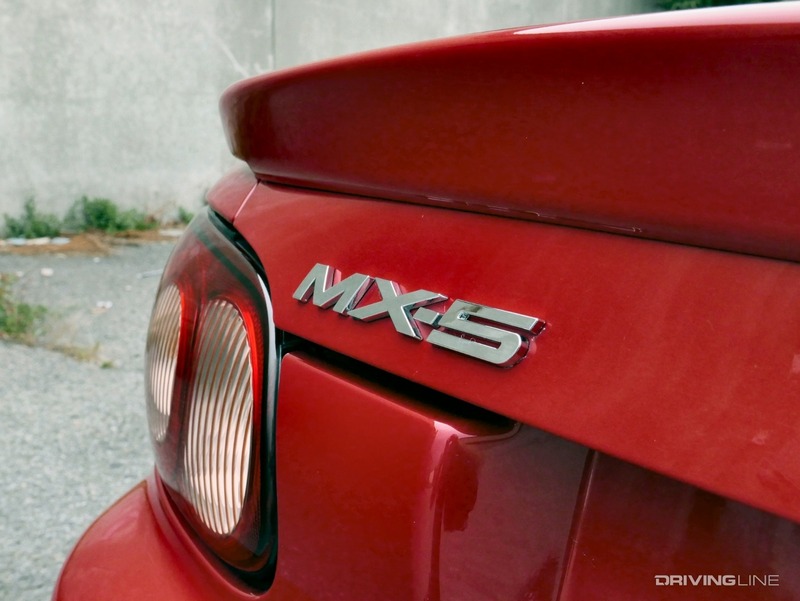 We also spent a week with the rare '93 Mazda RX-7 R1!